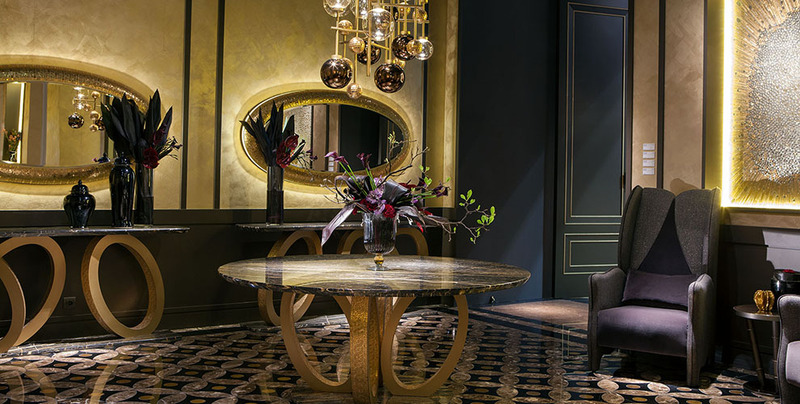 This year during the Salone del Mobile, Sicis presents its eclectic and distinctive style recreating a house that makes clear the inclination for luxury living. Continuous researches through Italian art and architecture allow the Maison to present now new lines and completions of Next Art and Unique collections. 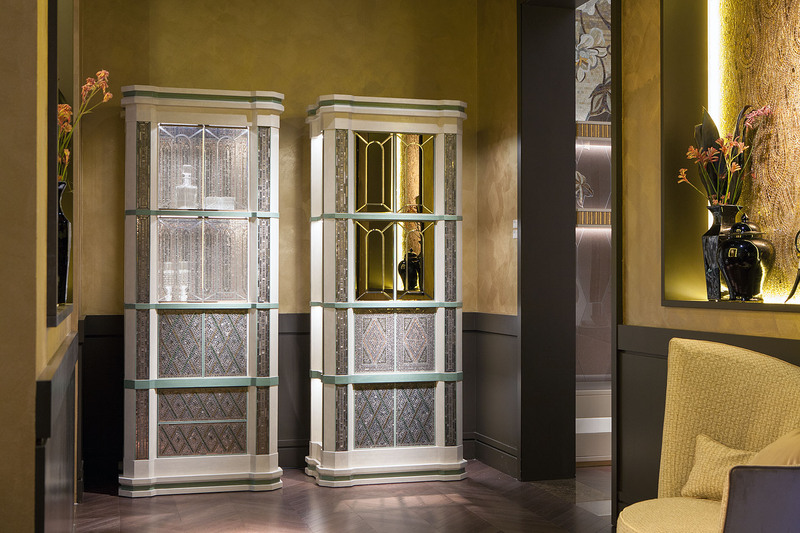 Regarding Unique collection, the cabinet “Giotto “ (showcase and library) designed by Massimiliano Raggi, is inspired by the masterpieces of the Florentine masters. 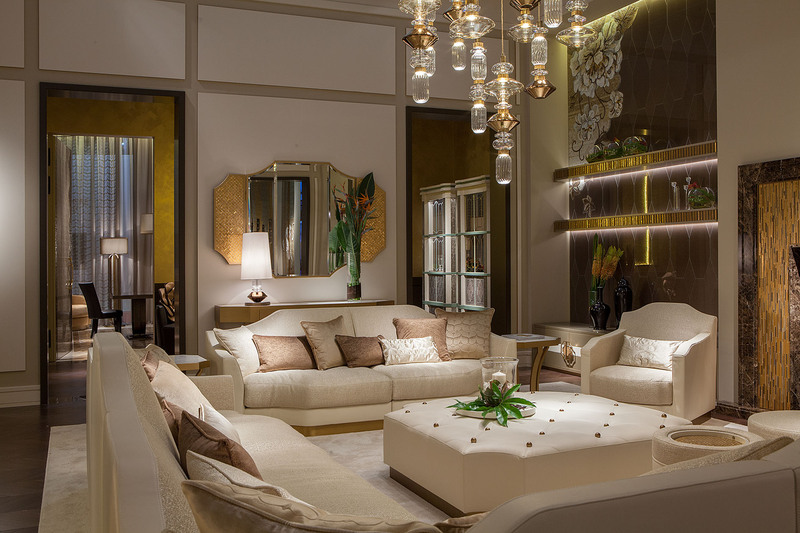 A perfect balance between form and decoration elegantly embellished with mosaic inserts. Borgia Collection by Massimiliano Raggi, is enriched with new models of sofa for the living area, which allow different modulations. The collection ” Fluxus ” consists of table, console, mirror and chandelier. The name refers to the idea of ​​movement and flow. 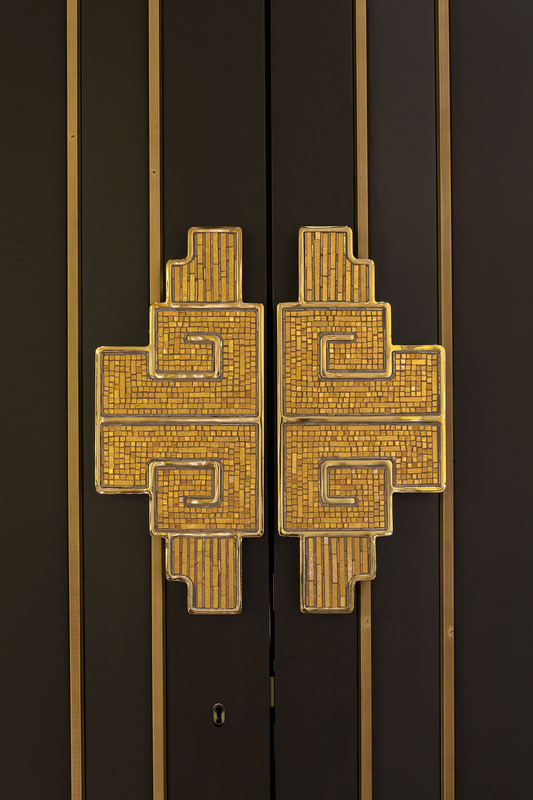 The models follow a curvy, wrap-around line and are refined with metals and mosaics processed through special techniques . Then there are news for the decor of the bedroom. 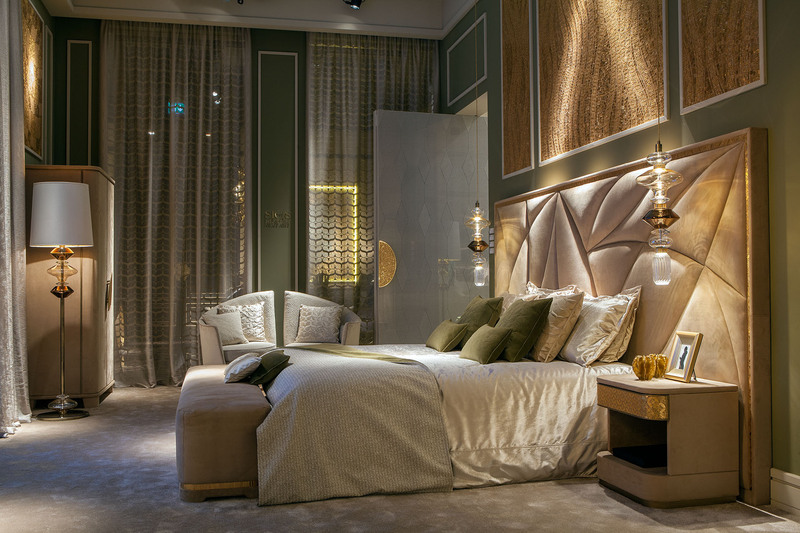 The head Casanova by the generous proportions, with interventions in mosaic; the cabinets Dongiovanni and Valmont, composed by a bench bottom bed and bedside tables. The pieces are linked by a clear and harmonious style, which convey a feeling of intimacy and warmth enhanced by nubuck coatings that boost the tactile perception .